Large, intimidating, and a trained warrior. All are adjectives that could be used to describe Major Hannibal Parker the Marine CO and Chief of Security of the Embassy of Duronis II. Growing up as an overly aggressive and strong child to two loving parents on Earth, Major Parker was diagnosed at an early age of being in possession of a ‘fortunate combination of genes and DNA’ which his father cultivated into the demeanor of a trained warrior. Utilizing his skills as a warrior, Parker joined Starfleet in 2387 being assigned to the USS Challenger-A as a tactical officer. During the course of his time as a Starfleet Officer, Parker has served in many roles across several different ships before transferring to the Embassy of Duronis II where he has served for the past four years. 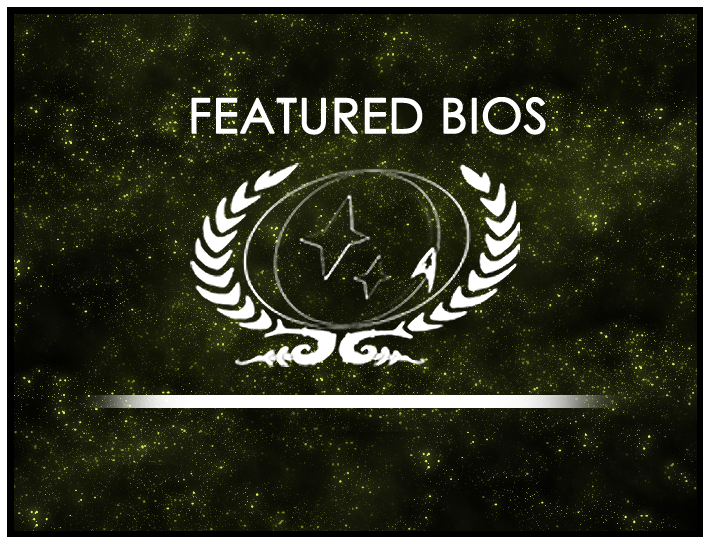 Congratulations to Hannibal Parker of Embassy of Duronis II who has been selected as the Featured Bio Winner for May 2016, and Didrik Stennes of the USS Darwin-A, this round’s featured nominee!